(UPDATE: It occurs to me that this post may fly in the face of my “buy the best you can afford” philosophy. If you are just starting out, you need at least two pairs of shoes as a pair should not be worn two days in a row. 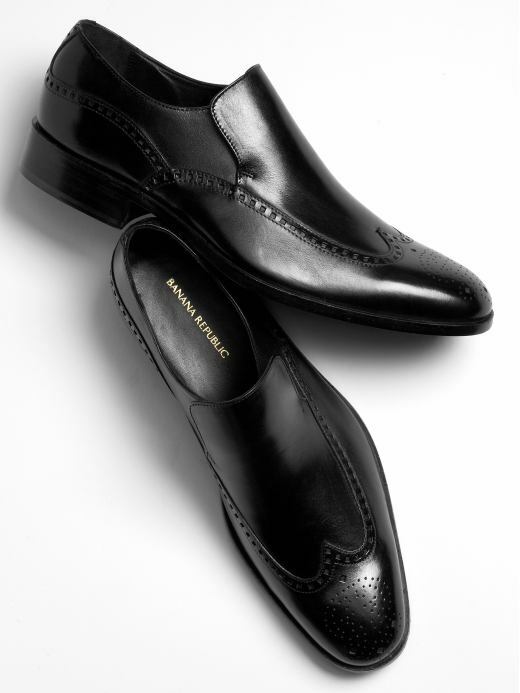 These are stylish and affordable temporary options (I imagine they will last several years) as most shoes I have come to appreciate for their construction begin at USD$250 and get more expensive very quickly. 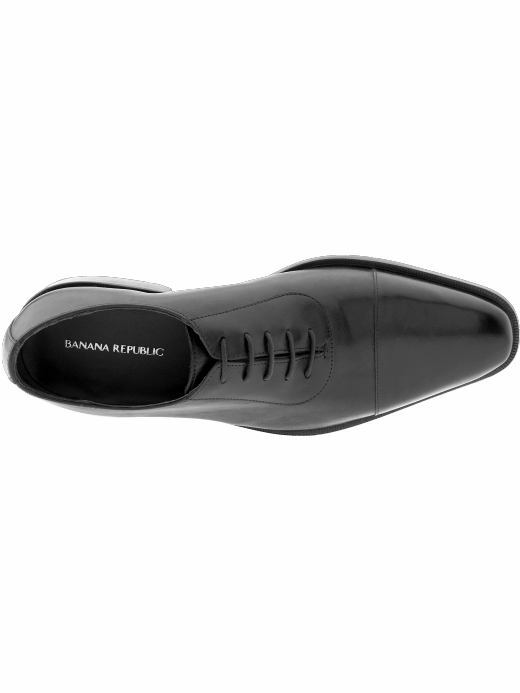 OK, so maybe not on a dime, but Banana republic is having a sale and they coupon gets you some extra off and they have a good looking line of men’s shoes. Shoes are a pet peeve of mine. All too often I see terrible shoes on guys who have spent a fortune on haircuts, jeans and cars. Shoes are important. If you are looking for a sleek classic you could do worse than those I’ve chosen below. I’ve worn one or two of their products before and they are decently built, not welted, and that’s a problem, but fine for the short term. Finding good shoes for less than USD$200 is difficult. 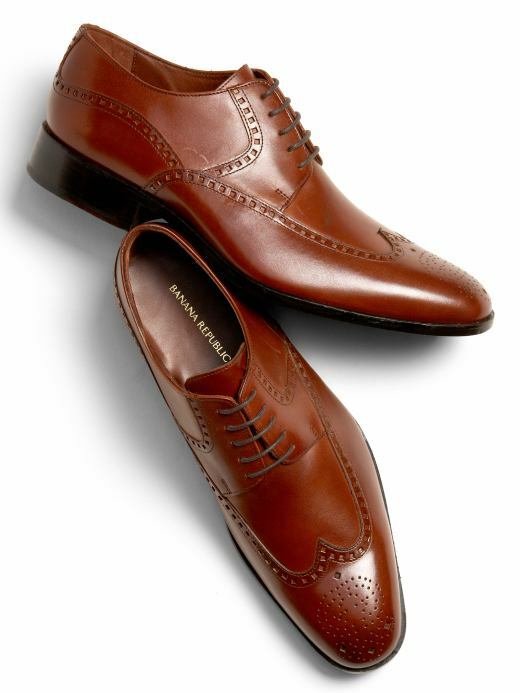 Finding decently built, stylish shoes (and by that I mean that they will look just as good when styles change, unlike those square toed loafers…) hovering in the USD$100-$200 is well neigh impossible. So, on this the last day before Lent, as you wonder what you will give up, I say throw caution to the wind, buy a new pair of shoes and swear off the sartorial binges for 40 days. You will at least be well-shod. 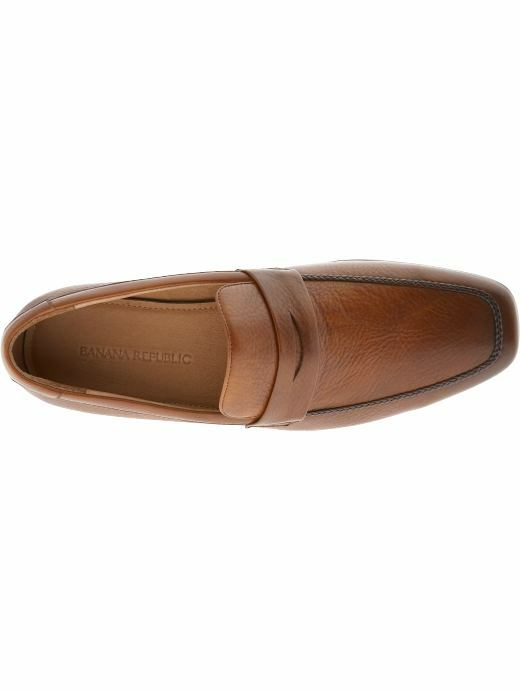 This entry was posted in Elegantology and tagged Banana republic, men's shoes. Bookmark the permalink. For Lent, my aim is to not buy anything. I have to set up some internal rules, but my intent is no clothes, no meals out, no frivolities, etc. It is not to not have any fun, but to see whether I can live more frugally for 40 days. I think this will be good preparation for any potential bad times coming. A really good “shoe” is a wise investment. For a more casual shoe, I love “Converse” or “Tretorns” or “Espadrilles” they can look so hip on guys. “Not welted?” Although they look great, that’s a big problem as I seem to get my daily office shoes resoled about every 8 months. Perhaps I’ll consider them for occasional “date night” shoes.